This is important work, Greenhorns. And good reading. The work of Slow Food and RAFT (Renewing America’s Food Traditions). Here’s hoping we’ll all be able to bite into a Red Astrachan or Yellow Transparent come fall. Madison, Wis – Apples and apple growers are in trouble. At one time, North America had over 14,000 apple varieties populating habitats from coast to coast. But in the 2001 Fruit, Berry and Nut Inventory published by Seed Savers Exchange (Whealy, 2001), the number of apple varieties available to Americans through nursery stocks had dwindled to 1,500. The continued tragedy is that in 2009, only 11 apples comprise 90% of what Americans access and enjoy. On March 19th, 2009, apple experts from around the country met in Madison, Wisconsin to talk about apple diversity in the United States, using their collective knowledge to discuss solutions for how to conserve apples in the landscape, including restoration strategies, genetic mapping and farmer training programs. Under the leadership of Dr. Gary Nabhan, founder and facilitator of the Renewing America’s Food Traditions (RAFT) alliance, and Jenny Trotter of Slow Food-USA, nearly 20 apple experts assembled for a “Forgotten Fruits Summit” to discuss the alarming decline of apple varieties and identify strategies for maintaining apples in the landscape. This collection of apple enthusiasts have spent their entire lives grafting, pruning, harvesting, pressing, enjoying and fighting for apples. Ironically, most of them had never met each other face-to-face until their Madison workshop. Tom Burford, noted apple grower, historian, writer and educator, described the importance of the meeting: “A decade ago, I would never have dreamed that we would be together in this room… that we would be a driving force to help nurture the future of the apple in America.” And their work couldn’t come at a more critical time to preserve our threatened genetic varieties and cultural knowledge. Nabhan’s point is that apples are not just for fresh eating – if we are going to remember the abundance of apple varieties, we also need to document the abundant ways to enjoy them. Apple cider, apple jack, apple leather, apple ‘shrub,’ applesauce, apple jelly, caramel apples and dried apple rings, to start. How will this happen? Nabhan and colleagues understand the importance of ensuring the apple experts pass on their knowledge and expertise to a new generation. They identified farmer training strategies as key to their work during the Forgotten Fruit Summit, and on March 20th hosted a day-long workshop for beginning apple growers. This hands-on workshop featured classroom instruction and a field trip to local abandoned orchards, with instructors Dan Bussey (Wisconsin orchardist and author) and Kanin Routson (University of Arizona). Burford, one of these elders, has made a personal commitment to devote his final years of life sharing his knowledge with the next generation. “Today, consumers are presented with a very narrow spectrum of fruit varieties (e.g., Granny Smith, Red Delicious and Golden Delicious) and told that this is all that an apple can be. We lack the consumer support that would make it profitable for local orchards to store fruit, grow a wider variety and justify staffing and other expenses to keep the farm operating year-round. Renewing America’s Food Traditions (RAFT) is a national alliance, managed by Slow Food USA, committed to restoring America’s agricultural biodiversity and developing a public understanding of place-based foods. For the past five years, the RAFT alliance has been bringing food producers, chefs and consumers together to develop and promote conservation strategies, sustainable food production, and awareness of our country’s unique and endangered foods and food traditions. RAFT uses an eater-based approach to conservation –reintroducing the stories and flavors of America’s traditional foods to larger audiences, so people are once again growing and consuming them sustainably. Founding RAFT partners include: American Livestock Breeds Conservancy, Chefs Collaborative, Cultural Conservancy, Native Seeds/SEARCH, Seed Savers Exchange, Slow Food USA, and Dr. Gary Nabhan. For more information about the work of RAFT and future workshops, visit: http://www.slowfoodusa.org/index.php/programs/details/raft/. A full description of the outcomes from this meeting can be found in the “Forgotten Fruits Manual and Manifesto,” available from Slow Food-USA at http://www.slowfoodusa.org/index.php/programs/raft_detail/publications/. 1. 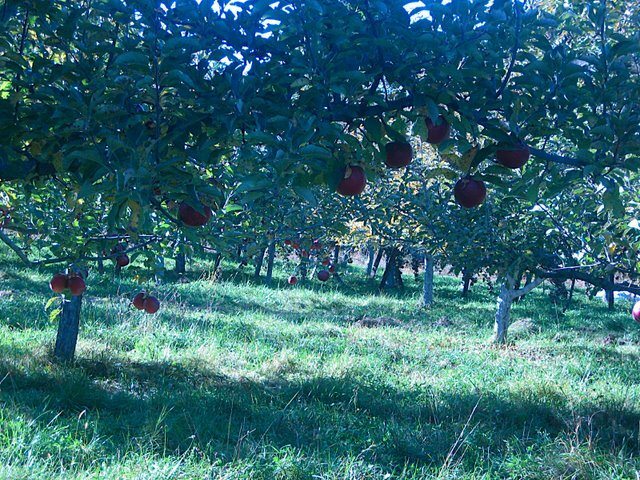 BIODIVERSITY HOTSPOTS: Where are the areas of richest diversity for heirloom, old-time and heritage apple varieties? Where are there gaps in the knowledge? 2. CAUSES OF GENETIC LOSS: What factors are contributing to the decline of apples and apple varieties? What are you currently doing to address and mitigate these factors? What should be done? 3. RESTORATION WORK: What is the single most effective thing that you have done to bring back apples? What collective actions are needed? And what kinds of funding and support organizations should be involved? 4. NEW FARMER TRAINING: If you were to ask the younger people of America to take on one part of your work and legacy, what would it be?